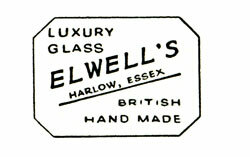 In the 1950 Pottery Gazette, H Elwell & Co of Harlow, Essex UK are listed as a manufacturer of pressed glass and Hand-made full crystal glass. Seen as a label on Nazeing & others. Great Glass lists them as 1930's - 1950's Retailer of art glass, notably that of the Nazeing Glass Works. I didn't see this at all when it was first posted, so thanks for bumping it Frank. My immediate thought (knee jerk, as it were) is that manufacturer has traditionally had a blurred meaning, and not one that we readily understand or recognise today. This was particularly true during Victorian times. For instance, earlier in the history of Nazeing when it was Kempton and in London, as I understand it, manufacturing referred to by Kempton was actually wholesaling. It is certainly true in a number of other instances in the glass trade. Therefore it is possible that Elwell was using the word 'manufacturer' in the same way. Prima faci all information suggests that Elwell only bought in goods for re-sale (Nazeing, Gray-stan, Whitefriars, Thomas Webb and Czech glass), so unless other information comes to light I would suggest that it is best to err on the side of prudence and have an open mind on the possibility of them being a manufacturer. See Geoff's book pages 21 and 22 which deal with Elwell moving from buying and selling bottles into buying and selling art glass wares. Of course this does not preclude Elwell from having their own glass works, it does though intermate that he preferred to make his money in ways other than direct production. I guess only time and/or some more research will give us the definitive answer :? 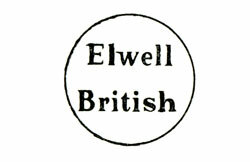 It would by no means be a unique occurence to find that a retailer such as Elwell also had some manufacturing capability. From personal experience, I know that Heppner's (London) Ltd, bought a small manufacturing outfit, The Western Glass Co Ltd, to smooth out the supply chain, and made a number of patterns for Woolworths, using re-cycled bovril jars. As yet I cannot show what these items may have been. I doubt Pottery Gazette would allow obscuration in their listings and the addition of manufacturing capability seems quite likely for the 50's. Hmm, I don't wish to be painted into a corner here. Indeed, I must emphasis that my earlier observations were by way of provoking a thought process. I think I made it clear that it was only a possibility that the term 'manufacturer' was being blurred or mis-used. Marcus's observations that other firms bought into manufacturing are perfectedly valid. I guess I'm beating my drum about not making assumptions or accepting things on face value. It can produce fertile lines of enquiry. 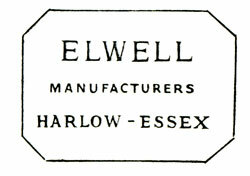 I am open minded as to whether or not Elwells were in fact manufacturers, or just purely sellers. In 1953 they are again listed as a manufacturer - established 1920 - Cut and etched crystal glassware and pressed glassware. In 1963 they are listed as Wholesale Merchant and distributor. As it is a publication targetted at company buyers, mis-information is likely to backfire. Easiest would be to check at companies house which should show how they were defined legally. No info on-line. My guess that in the post-war climate ,when many small glassworks were established, that they set up a small operation for some part of their business. There were a flood of investors fresh from the army with pockets bulging from the spoils of war - the realm of the 'spiv'. There should be info available with Harlow council archives if they did set up a factory. Again not an on-line option. I don't see any indication here of Elwell owning or setting up a glassworks. Manufacturer here just means one who provides or trades in manufactured goods (including then handmade goods), a sense of the word now largely obsolete. I think that Elwell would have used the term to elevate himself from factor, which has more connotations of a commission agent, i.e. he owned his stock, whereas a commission agent never did. All to do with status. Possible, but we need to get some more original material.